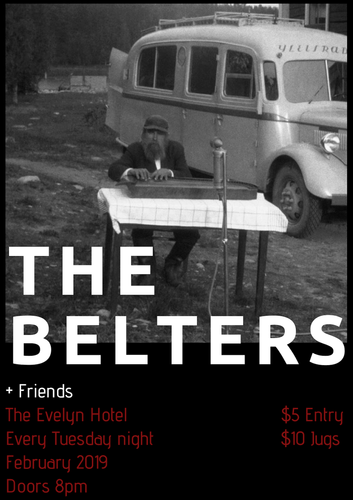 Hailing from Scotland, England and Australia, The Belters met and formed in April 2018, but it hasn't taken them long to break in to Melbourne's live music circuit. Expect catchy melodies and literate lyricism from this 5-piece, indie/alternative garage rock outfit. They will be joined on stage with an exciting new support act each week.